Our houses groan, creak, and pop on a regular basis. 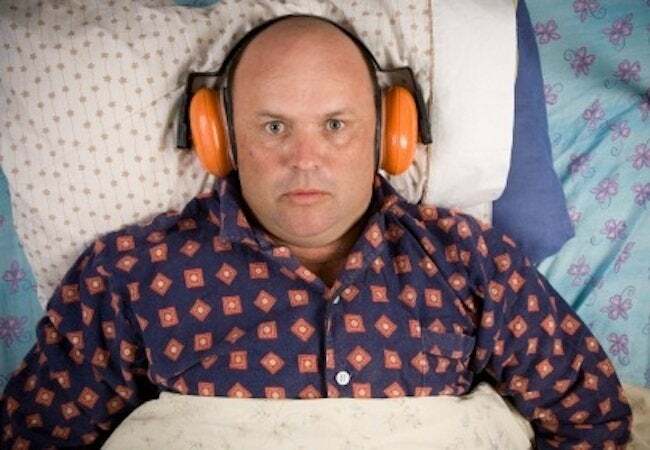 Here's how to tell whether that noise you're hearing could be a sign of something serious. Homes make strange noises. They’re built of many different materials — glass, concrete, wood — that expand and contract at different rates. But still, “The most noise your house should make is a popping sound, like your knuckles cracking, and only once in a while,” says Bill Richardson, former president of the American Society of Home Inspectors and owner of Responsive Inspections in Bosque Farms, N.M. If your home is making noises that rival the best of Metallica, then it may be sending you signals that there’s a problem. We asked the experts to catalogue some of the more worrisome pops, hisses, groans, creaks, and knocks, and to tell us what they mean and how they can be remedied. Here are the top seven problem noises and how they can be solved. 1. WHAT IS THAT CLANKING SOUND WHEN I TURN ON THE HEAT? The Problem: When most homeowners first turn on their heating system in the fall, they’ll often hear a little moaning and groaning as the heating system expands and rubs against the frame of the house, says Mike Kuhn, the New Jersey owner of a HouseMaster inspection service and coauthor of The Pocket Idiot’s Guide to Home Inspections. With a baseboard hot-water system, you can also expect “normal clinking and knocking,” says Kuhn. The circulator pump or pumps to the system, however, “should be silent when they run,” says Kuhn. If you hear knocking or clanking, typically located at the boiler itself, it might be a sign of impending failure of the circulator pump, he says. The Solution: Get a repairman out to check on it, pronto. 2. THERE’S A STRANGE SCRATCHING SOUND COMING FROM BEHIND THE WALLS. The Problem: If you hear strange noises like scratching and possibly chittering coming from places where no one lives in the house, you could have mice, squirrels, raccoons, or even bats sharing your quarters, says Richardson. 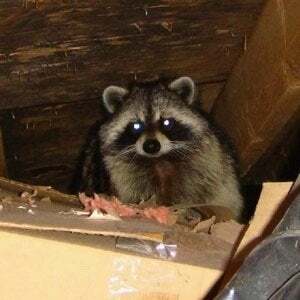 “Any kind of wild critter could be up in the attic,” he says. And these freeloaders aren’t just a nuisance: Bats can carry deadly rabies. In the Southwest, the droppings of mice can spread hantavirus. Some animals will tear up insulation to nest, or chew through siding or even electrical wires, causing fires. The Solution: As soon as you suspect an intruder, get on it: Set traps. (Call in a pro if the animal is stubborn or large.) Finally, prevent the problem from reoccurring by sealing up the entrances to your house with steel wool, metal sheeting, caulk, and/or hardware cloth. To keep raccoons away, put garbage in sealed, secured metal cans that can’t be tipped. Bring pet food inside. After pests have been removed, make sure vents and chimneys are securely covered with mesh or a grille, so those spaces can still breathe. 3. THERE’S NO ONE IN THE HOUSE AND I CAN STILL HEAR RUNNING WATER. HOW CAN THAT BE? The Problem: “You definitely don’t want to hear water running if nobody’s using anything,” says Richardson. The sound could indicate many things — a busted pipe in a wall, under the floor, or even in the irrigation system. If you hear running water when you shouldn’t, “Shut the main off and see if the noise goes away. If it does, you’ve got a leak somewhere,” says Richardson — and a problem in need of fixing. The Solution: Unless you’re really handy and ready to do surgery on your home, call in a plumber. 4. I HEAR A BUBBLING (OR CRACKING) SOUND COMING FROM THE WATER HEATER. IS THAT NORMAL? 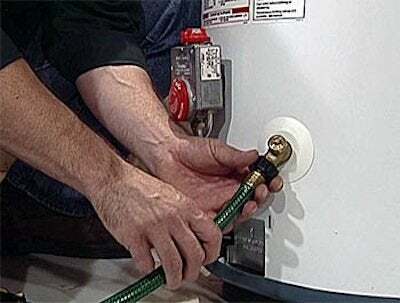 The Problem: A gas-fired hot water heater works pretty much like boiling a pot of water: A fire is lit and the water inside is heated until it’s ready for use. “A lot of sediment builds up at the bottom of a hot water tank, and that sediment works like an insulator,” forcing the burner to work harder, Kuhn says. The strange noise you hear is the bubbling sediment — and a sign that the tank is probably experiencing fatigue and may be facing premature failure, says Kuhn. The Solution: Ideally, you should flush out your hot water tank every few months, using the drain valve near bottom of the floor. “However, nobody does it,” says Kuhn, because it can be a pain to do. If your water heater is already making these noises, draining it might help. “It could (work) a little bit longer, it could go a lot longer,” but the damage is probably done, says Kuhn. 5. MY FURNACE IS MAKING A WHISTLING (SUCKING) SOUND THAT IT’S NEVER MADE BEFORE. IS IT GOING TO NEED TO BE REPLACED? The Solution: Install clean filters regularly — “anywhere from three months to monthly, depending on atmospheric conditions,” says Richardson. 6. I HEAR A SWITCH TURNING ON AND OFF REGULARLY, BUT CAN’T SEEM TO ISOLATE WHERE IT’S COMING FROM. The Problem: If you’ve got a well for your water, you’ve got a well pump — either in the house or above the well in your yard. “If you are sitting in your house and hearing the pump switch click on and off, you may have a problem,” says Kuhn. The pump pulls water from the well and into a holding tank, where it’s stored for your use. If you’re hearing it when you, say, turn on the faucet, something may be wrong. The pump “should not operate every time there is a call for water. The wear and tear would cause the pump to fail prematurely,” he says. It’s likely that you have a leak in the system. “The leak is either going to be in the well equipment itself, or in a fixture” — for example, a leaky toilet — that is causing the holding tank to drain, says Kuhn. The Solution: First, check your fixtures for leaks. Then, if needed, call a plumber familiar with well systems. 7. WHAT’S THAT HISSING SOUND? The Solution: If you you smell gas around the gas main, don’t mess with the gas shutoff unless you absolutely know what you’re doing, because any mishandling or spark could make things much worse, says Richardson. If you hear the noise and smell the gas, immediately evacuate the house and call the gas company.